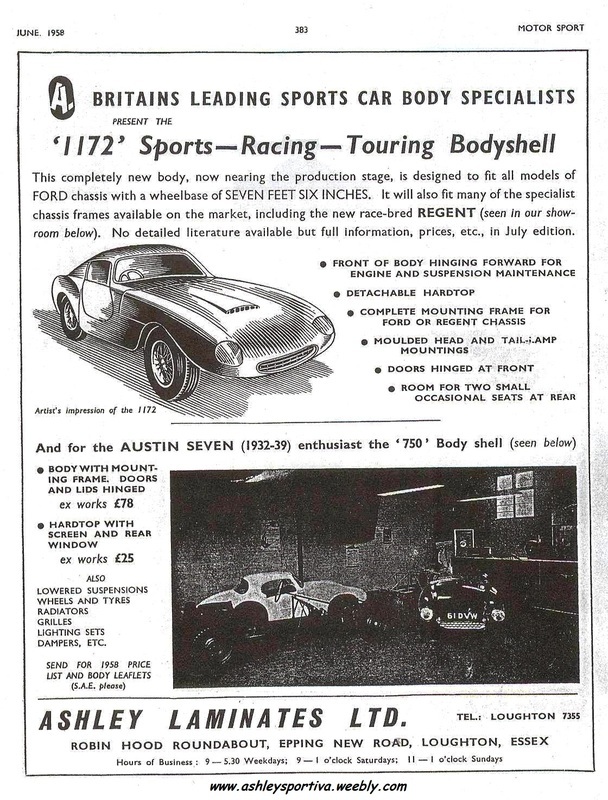 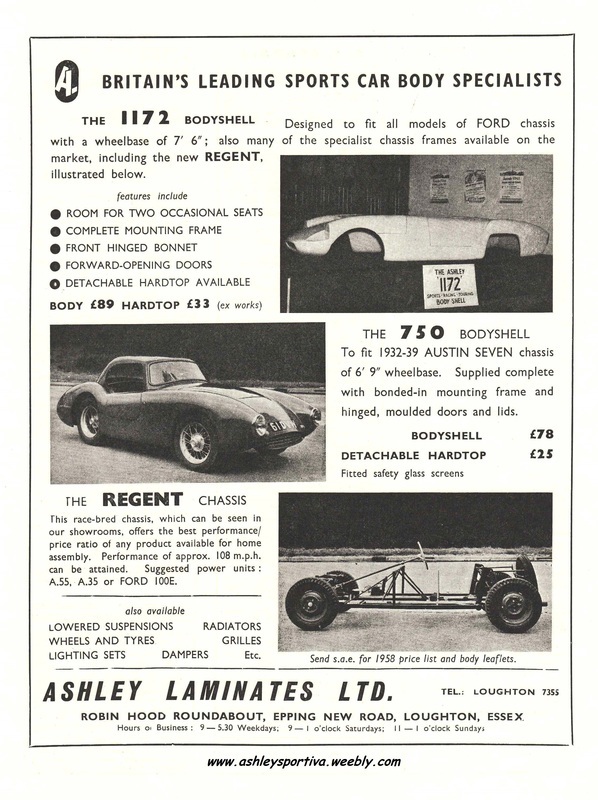 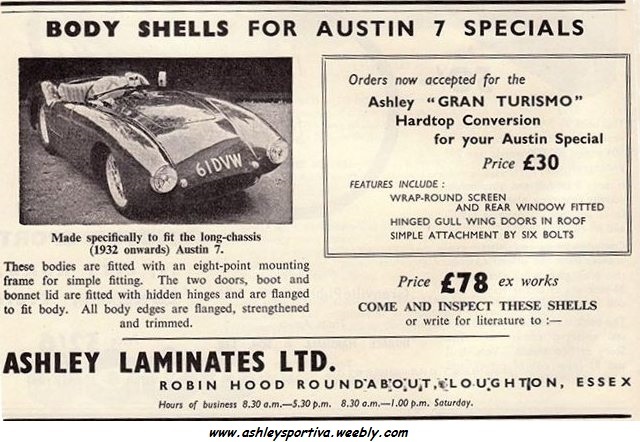 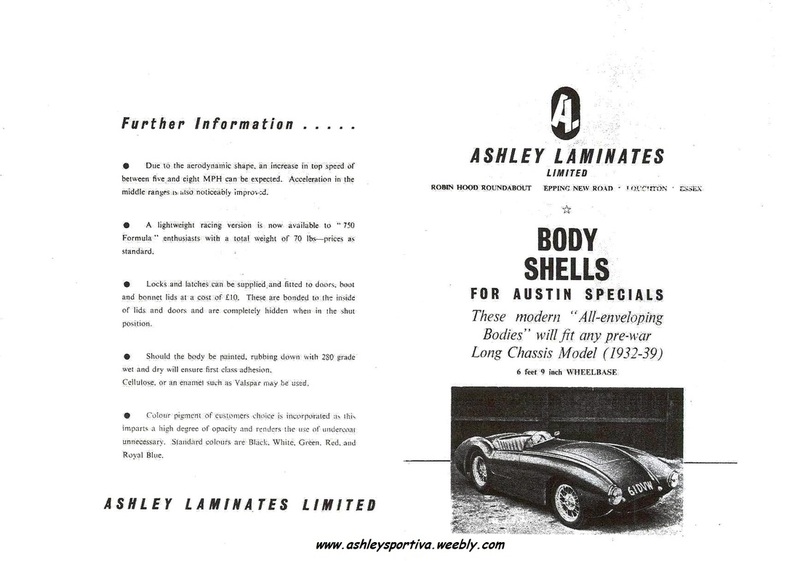 I have only seen this car in Ashley Laminates adverts that have appeared in motor magazines and "MOTOR SPORT" in the late 1950's and in their own inhouse adverts. 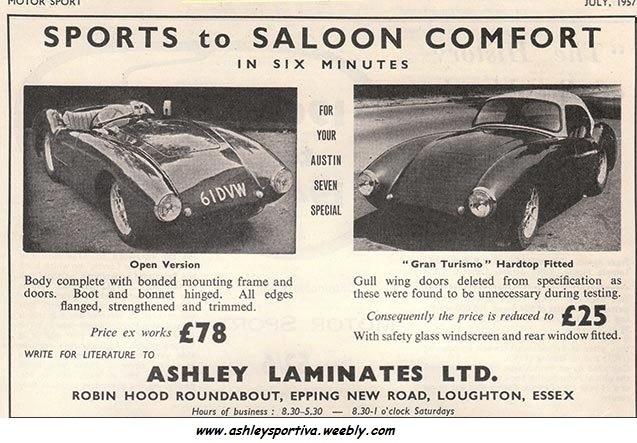 I have not found any Current DLVA Registration Information so must assume it is know longer registered, I guess it might be in someone's backyard or old barn, but more likely scrapped, so if anyone remembers it send me an email and let me know so I can add it here for all to see. 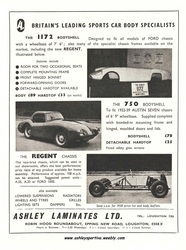 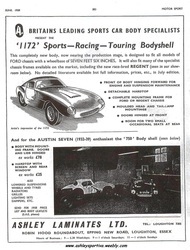 As can be seen in the above pictures they are mainly taken in the Robin Hood Garage premises in Loughton, Essex, which is where the early showroom and factory was located and the Essex registration was issued in July 1955.